Help! 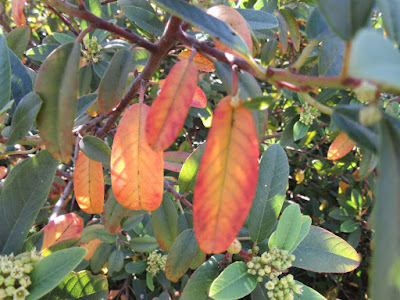 The Leaves on My Evergreen Toyon (Ceanothus, Coffeeberry, etc.) are Turning Yellow! It’s May, June or early July. The days are warm and the garden’s transitioning from spring to summer. Suddenly, you notice yellow leaves on your evergreen shrubs. 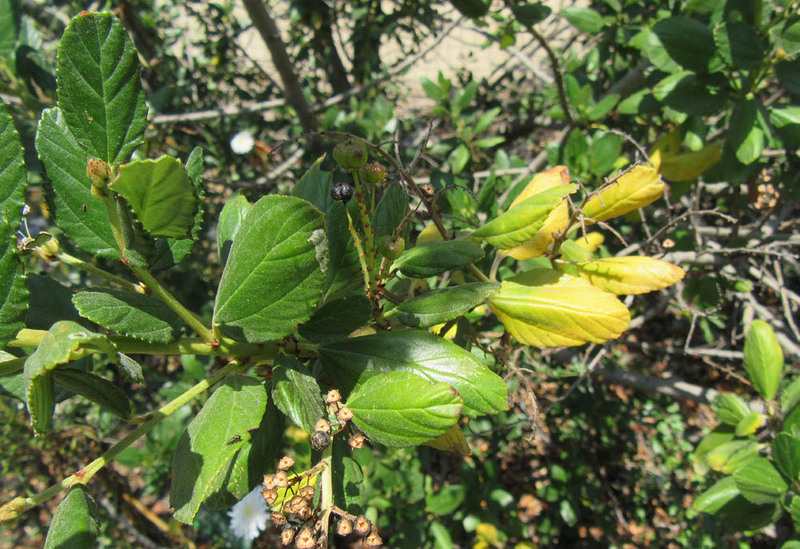 If the shrubs have been thriving all spring, the appearance of yellow leaves can be surprising and alarming. Take a deep breath. Then carefully examine your shrub. Are the yellow leaves larger and older? Lower on the branches (closer to the trunk)? Are the yellow leaves scattered throughout the foliage (not concentrated on a single branch)? Are healthy new leaves emerging? If so, your shrub is likely exhibiting a normal seasonal process – summer leaf drop. 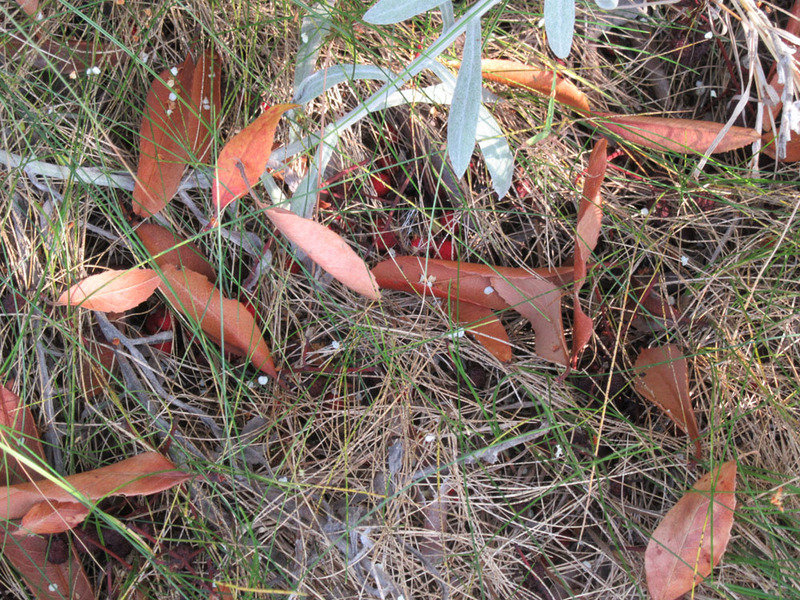 Evergreen plants lose their leaves, just like deciduous plants. But they lose them less frequently – and not all-at-once. Shedding old leaves is but one way that woody plants conserve their resources. Old leaves are often less productive. They are also more likely to be unhealthy. In short, senescent leaves become a drain on the plant. They simply require more resources than they make, an unfavorable cost-benefit ratio. And so, evergreen plants shed their old leaves, but not haphazardly. They usually recycle mineral nutrients and plant chemicals before they jettison an old leaf. 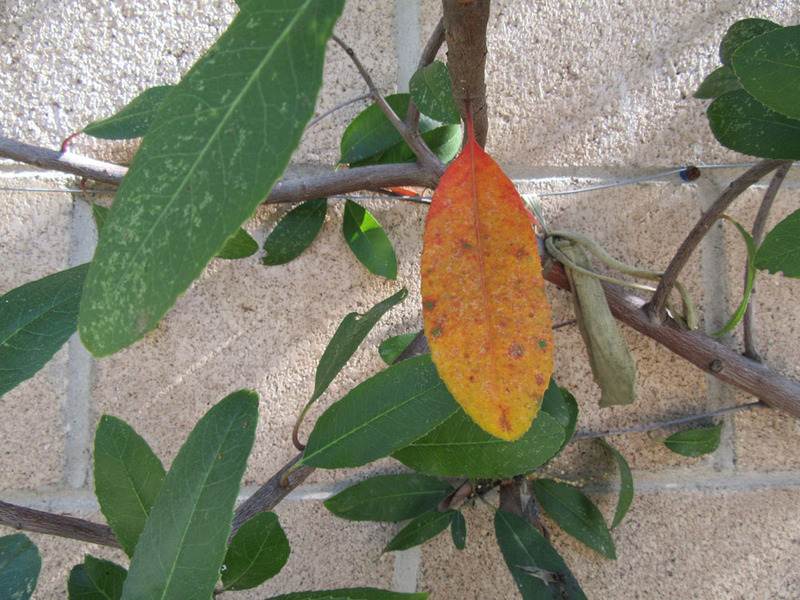 The declining leaf then produces less green chlorophyll, becomes yellow (or orange) and ultimately separates from the branch at a special site called the abscission layer. The process is relatively safe and painless for the plant; the abscission layer ‘walls off’ the leaf scar on the branch, preventing disease. And the senescent leaf simply drops off – its work complete. Older toyon leaf turning yellow & red. Note disease. Evergreen plants drop their old leaves at different times of the year. Some lose them, a little at a time, throughout the year. 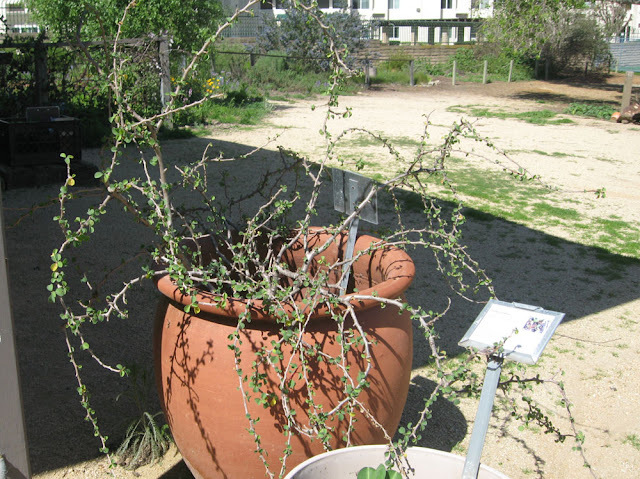 But many large California native shrubs, particularly those from the chaparral, lose their leaves in late spring/early summer, before the dry season begins in earnest. This allows them to channel their energy into summer growth and drought avoidance. So summer leaf drop is perfectly coordinated with our challenging mediterranean climate. 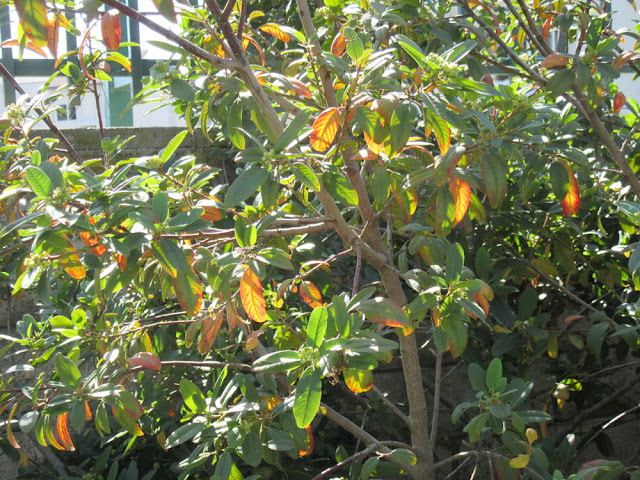 Coffeeberry leaves provide summer leaf color. So what’s a gardener to do? If you have a big garden event that requires an immaculate garden (a garden wedding? a visit from the queen?) then gently remove the leaves just prior to the event. This will improve the appearance and won’t harm the plant. Otherwise, sit back and let nature take her course. Enjoy a bit of ‘summer leaf color’. 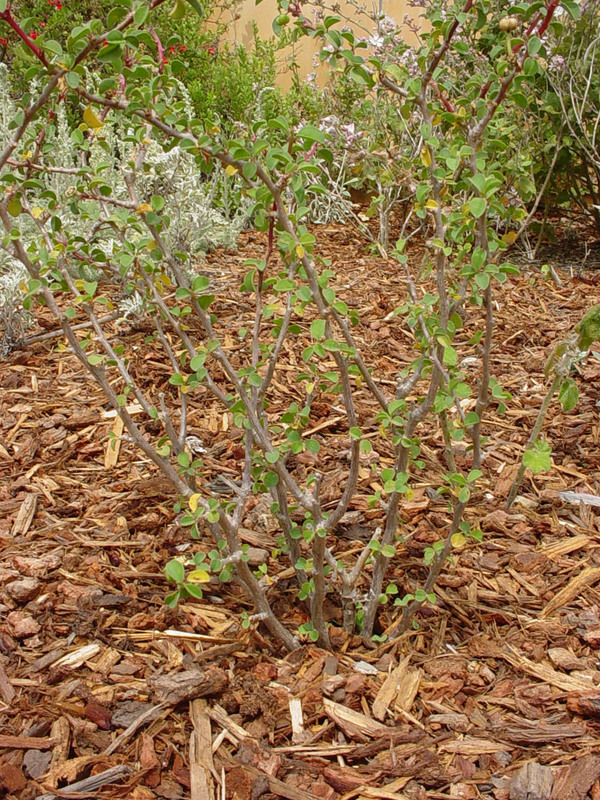 Let the leaves fall naturally, creating a native leaf mulch to support your many soil creatures. Savor the yearly changes associated with our natural heritage. Summer leaf drop is, after all, part of the cycle of seasons in a California native garden. 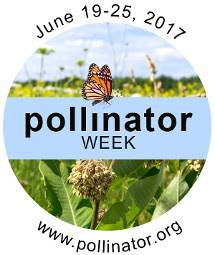 Ten years ago, the U.S. senate designated one week in June as National Pollinator Week. Like Earth Day, National Pollinator week celebrates one of our countries greatest resources – its pollinators. Living pollinators enable 80% of the earth’s plant species to reproduce. Included are many of the fruits, nuts, seeds and grains we eat. Our world would be a very different place without pollinators! 5. Photograph pollinators, in your garden or in the wilds. Then upload your photos to iNaturalist (https://www.inaturalist.org/) to add to our knowledge of native pollinators. You might even discover a new species in the process!! There’s not much blooming that we haven’t already featured as a Plant of the Month. So we’ve chosen a plant that’s as well known for its form as for its flowers. Our Cliff spurge is looking nice in a large pot in Mother Nature’s Garden of Health. The scientific name is pronounced: you-FOR-bee-uh MIZ-er-uh. 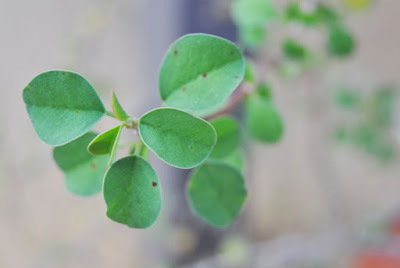 Cliff spurge, also known as California spurge, is a part-woody sub-shrub native to Southern California and the states of Baja California and Sonora, Mexico. It is one of those interesting local natives that can be found along the coast as well as in the Sonoran Desert – both in Mexico and in the U.S. Primarily a Mexican species, this plant’s northern limit is the Channel Islands of Los Angeles County (both Santa Catalina and San Clemente Islands). It still also grows in isolated pockets along the coastal bluffs of Orange and San Diego Counties. It inhabits rocky or sandy, south facing slopes in the coastal scrub, coastal bluff scrub and Sonoran desert scrub communities. Rare and threatened by development and frequent fires in California [1,2], its status is more secure, at least thus far, in Mexico. Cliff spurge belongs to the spurge family (Euphorbiaceae), a large and interesting group growing mostly in temperate and tropical zones. 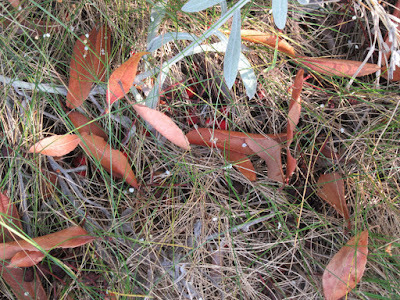 Some members – like the Cliff spurge – are succulent and many have milky sap that contains latex. A number also have medicinal properties (many are poisonous as well). In addition to the genus Euphorbia (many native and non-native species), this family includes California natives like California copperleaf (Acalypha) and Croton. Also members of the spurge family are the non-native poinsettia (Euphorbia pulcherrima), cassava (Manihot esculenta) and castor oil plant (Ricinus communis). Cliff spurge has many characteristics of the Euphorbiaceae. It grows 2-5 ft. (1-1.5 m.) tall and about as wide. It has an open, irregularly branching form – somewhat mounded overall. Its branches are succulent, part-woody and covered with a pale gray-tan bark. The young branches are hairy, but they become smooth with age. 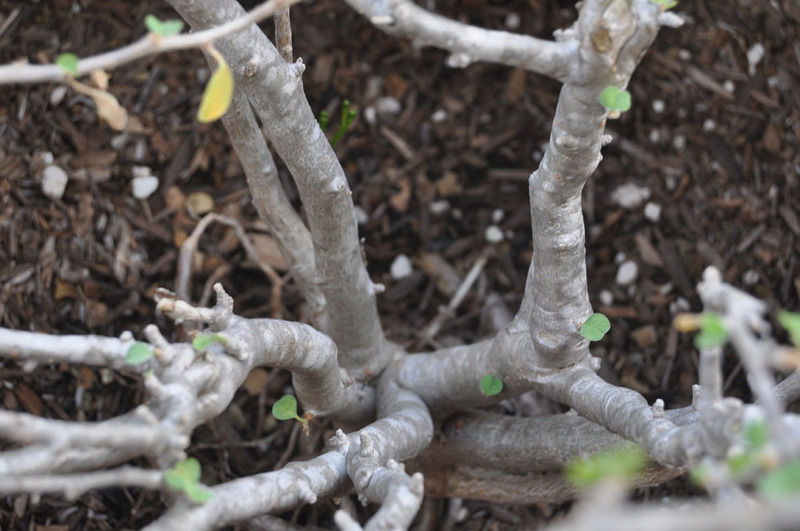 The plant looks rather like an ancient miniature tree; and it has been put to such uses by bonsai artists. The leaves of Euphorbia misera have very short petioles (leaf stems) and appear almost haphazardly spaced along the branches. The leaves are simple, rounded and medium green. They have a distinctive fold along the midrib (like a taco shell) and often have very narrow stipules (small, leaf-like appendages from the petiole). The plant leafs out with the winter rains; the leaves are lost in the dry season. 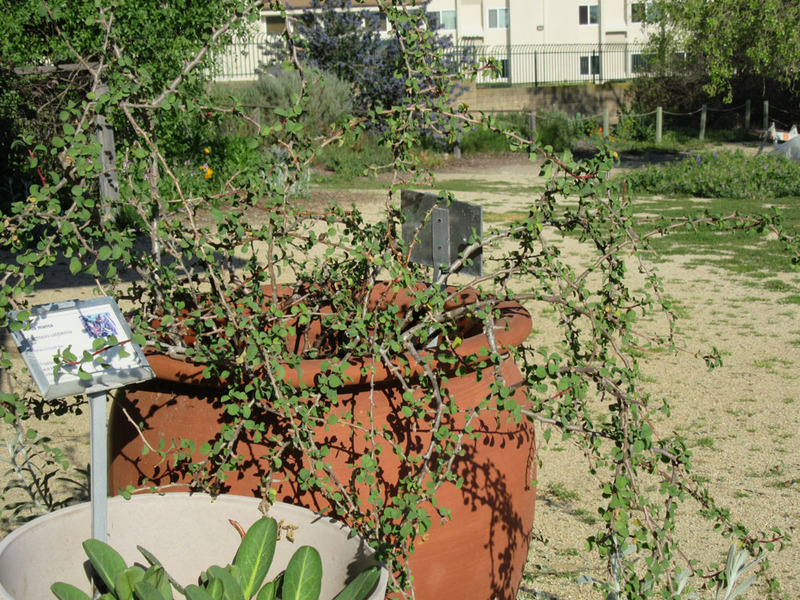 In the wilds (or in a dry garden) the plants can remain leafless for half of the year. Despite this, the plants are surprisingly attractive, due to their remarkable form. 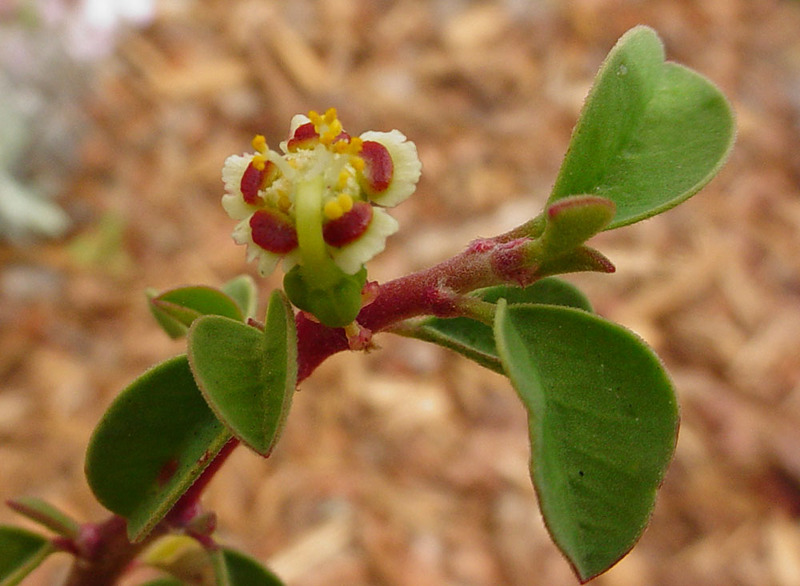 Many Euphorbias have unusual flowers; Euphorbia misera is no exception. The flowers comprise a specialized structure, known as the cyathium. 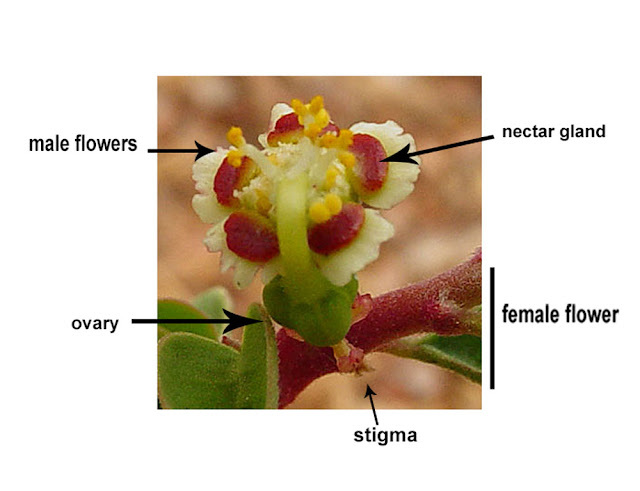 The simple male flowers are contained within the cup of the cyathium (see the pollen-laden anthers in the photo below). The female flower, with its swollen ovary, is on a stalk above the male flowers. The ovary becomes a wrinkled, lobed fruit which contains the wrinkled, gray seed. Nectar glands in the cup of the cyathium (purple-red in Euphorbia misera) produce nectar, attracting bees, butterflies and hummingbirds. The major pollinators are likely insects. We’ll try to keep an eye on this plant when it’s flowering to see if we can add more details. Cliff spurge can bloom any time of the year. It flowers after rain events in its native setting, and will bloom off and on from spring through summer in a garden. But the flowers are small; most gardeners who choose this species are either Euphorb enthusiasts, are interested in rare natives, or are captivated by its unusual form. We confess to being all of the above! 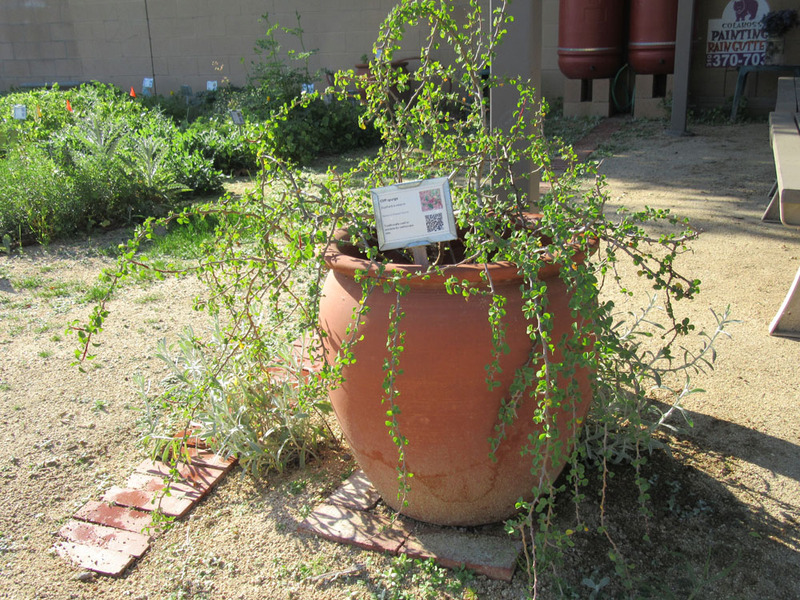 Euphorbia misera is slow-growing, making it a natural for a large container. It can take full sun near the coast; afternoon shade is best further inland. It likes a well-drained, sandy or rocky soil. If you have clay, try planting it atop a low berm to improve drainage. In containers, we just use an organic potting mix (unamended). Try to get one without much added manure – this plant doesn’t need lots of nutrients. 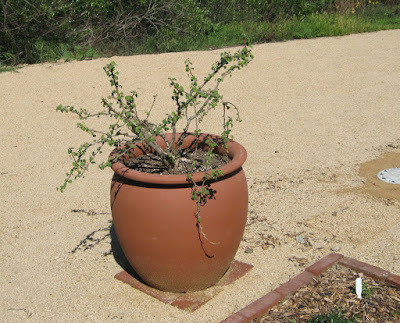 In the ground it needs no fertilizer; in containers, try a ½ strength dose in late winter. Cliff spurge is drought tolerant once established, but looks a bit better with occasional summer rain. 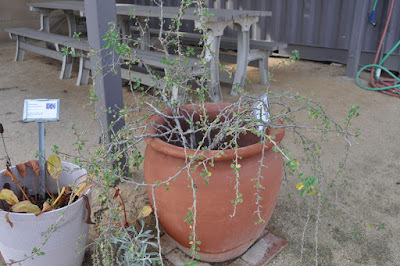 This plant gets summer (monsoonal) rain in its native range. It can take monthly (or even a bit more) summer irrigation in well-drained soils. 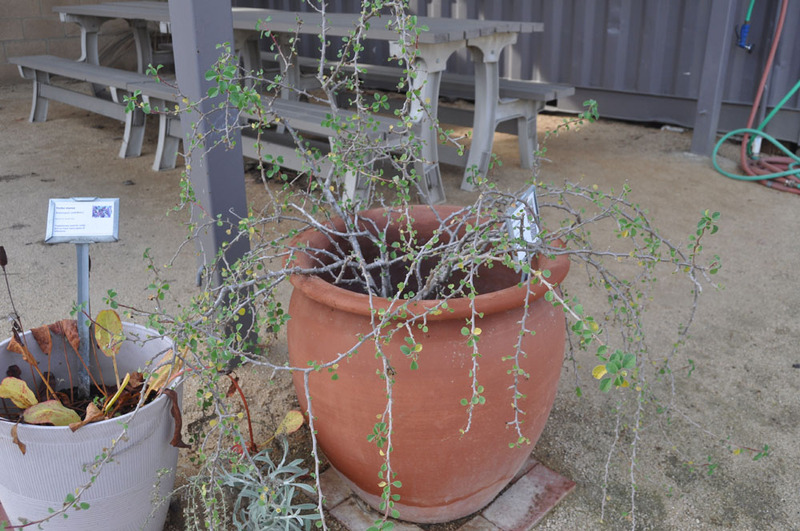 Our unglazed terra cotta pots dry out quickly, so we water our container-grown pot at least weekly in hot, windy weather. Euphorbia misera has a picturesque natural shape. Some gardeners just let it take its natural form. If you want to shape it, try selective pruning in late fall. You’ll want to wear gloves and be sure to not get the milky latex on your skin. Many people are allergic to it. Also, never eat any part of this plant – it’s toxic. An infusion of the roots of Cliff spurge was traditionally used in the treatment of stomach aches, dysentery and venereal diseases. One would want to know more about the dosing and preparation of this plant before using it medicinally. Remember that this plant, along with many other Euphorbs, can be poisonous. Cliff spurge looks nice when planted with its natural associates, including coast spicebush (Cneoridium dumosum), California boxthorn (Lycium californicum), California sagebrush (Artemisia californica), lemonade berry (Rhus integrifolia), bladderpod (Isomeris arborea) and ladies’ fingers dudleya (Dudleya edulis). We particularly love the look of it in a large container. Cliff spurge looks right at home in a Mediterranean or Central American-style garden. You could even combine it with Euphorbs from around the world, to create a garden celebrating this incredible Family!